Hi everyone, when I first started my blog I had a few reasons for doing so aside from introducing you all to my small business. I wanted (and still want) this to be a safe place to share ideas, to try new things, to encourage and basically have fun with this fantastic hobby. With regards to encouragement, I not only want to encourage you (and me) to try new things and be proud of your creations (regardless of what you perceive your ‘skill level’ to be) but I want you to USE your supplies and more than once too. 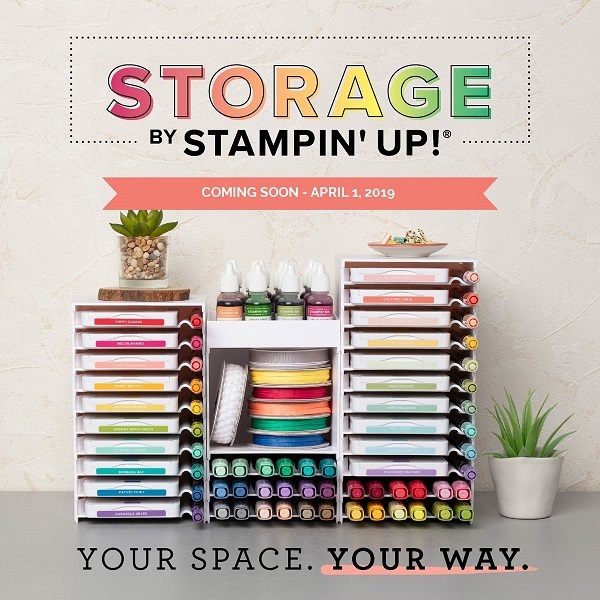 Stamps are so fun and it brings me such happiness when I’m in my creative zone. I want you all to feel the same happiness when you create too! If you have been reading my blog for a while you will have noticed that I love to use the same set (even the same stamp from a set) over and over. Sometimes all I change is the colours I am using especially if it is a stamp set I can colour as I love to colour! 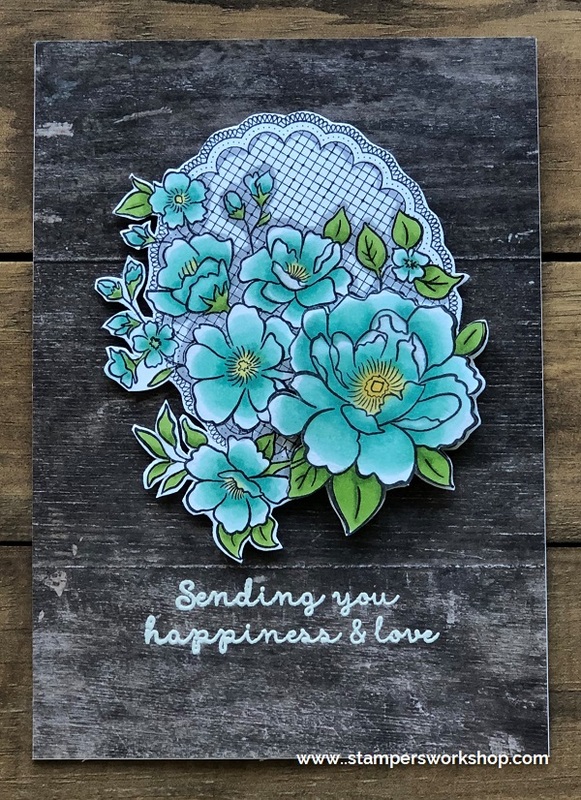 So, today, we return to one of my new favourite stamp sets – Lovely Lattice (which is a stamp set you can choose as your freebie when you place an order of $90 or more during Sale-A-Bration). I cannot tell you how many times I have coloured this image -it’s a lot. What can I say? It’s super cute! I stamped the floral image with Memento Tuxedo Black ink twice and then used my Stampin’ Blends to colour the images in. After colouring the image, I cut out the image and layered the larger flower on the top. I love how it gives a little extra dimension. It was at this point that I didn’t know which direction to take. I toyed with layering the image on plain cardstock, or on top of an embossed background but nothing really jumped out. I was flipping through my papers and saw the Wood Textures DSP and loved how this wood background really complemented the colours I had used. (Plus I totally love this paper and just don’t use it enough!). The next design decision to make was how to include the sentiment. Originally I was thinking I would stamp the sentiment on a banner and pop it up on the image. It then crossed my mind that it had been a VERY long time since I had stamped and embossed directly onto patterned paper and so that is the direction I chose to go. I love the look of the white embossed sentiment on the wood paper. Do you ever heat emboss on patterned paper? If you choose the right paper I think it can look so good. You don’t have to use a sentiment on the patterned paper. A solid image or even a fine line image added to a background might just add that extra little bit of flair and really lift your project. It’s always fun to try something a little different! 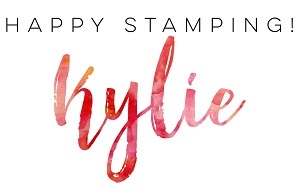 Just love the way you take a stamp that is lovely and make it exceptional. Thank you for sharing. Oh Veronica, that really is such a kind compliment. You really made my day! Thank you so much!